Cliff’s Heating offers a wide variety of generator options to suit your home or commercial applications. The family owned business has been in operation since 1979 while providing back-up power and peace of mind solutions for the last 14 years. They offer free in home/business consultations to each customer. The right generator can provide backup power in a mere 20 seconds to your home or business. Whether you want to protect only basement valuables, whole home power, or office servers, Cliff’s Heating can recommend the solution to fit your desired needs. The right generator really comes from the contractor, like Cliff’s, asking the right questions. With a generator that is too large, good hard-earned money is going to waste. A too-small generator simply will not power the items you are looking for in an emergency situation. With sizes available from 7kw to 20kw in the basic residential line, 25kw-150kw in the light commercial line-up and 150kw to 300kw in heavy industrial applications, Cliff’s Heating has the solution for all your backup power needs. So what is a kw? A kw stands for kilowatt or 1000 watts. One average sized central air unit will consume anywhere from 5kw to 12kw depending on the age of equipment, brand, and efficiency rating. (A typical residential light bulb uses about 60 watts.) Gas meter and pipe sizing should be done and evaluated by a licensed electrical and mechanical contractor, like Cliff’s Heating. The right generator can vary from customer to customer depending on your needs. Some generators are quieter than others due to cabinet design; some are more user-friendly for maintenance with multiple panel removal and some repair parts are more affordable than others. Cliff’s Heating offers and services all major brands of generators. 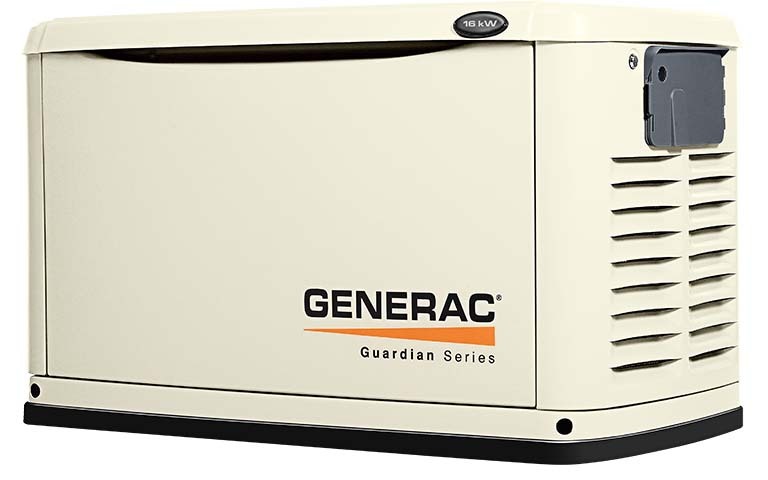 Generac is the industry leader in volume of units in the marketplace. Did you know Generac is in 7 out of 10 homes that have a standby by power system? This makes Generac an industry leader when installed by a professional. Installation of a standby power system takes up to a day to install for residential, 2-4 days for commercial and 6-9 for heavy industrial. Cliff’s heating can help guide you thru the whole process from gas meter upgrades where required, installation and maintenance, to registration of your new system. Generators are required to have a permit for generator installation. So check with local authorities that the contractor you select is licensed/bonded and insured and has a good rating with the BBB. Cliff’s Heating has the knowledge and expertise to assure your generator selection will provide years of peace of mind. Remember to evaluate what is important to power up in an emergency situation.